MKT Farmhouse - Dog Sleds, Scooters and More! 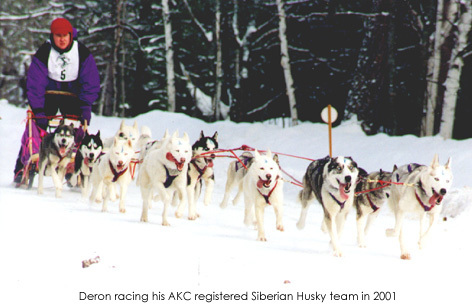 Deron and I met when we were running and racing Sled Dogs. While we do not race any longer. We have raced in many States in the lower 48. 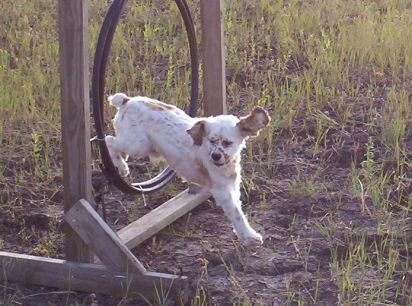 We used to, in the 1990's, train and exercise our dogs on the Katy Trail, mostly in the Weldon Springs area. 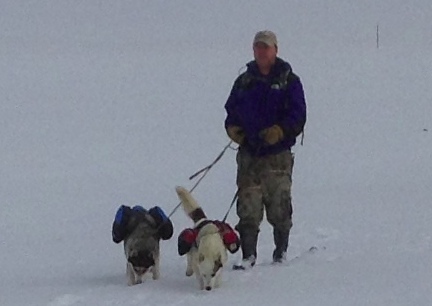 We plan to run our German Shepherd Dogs on the Trail too. We breed, raise, train and love our German Shepherd Dogs....and they love to play and run! 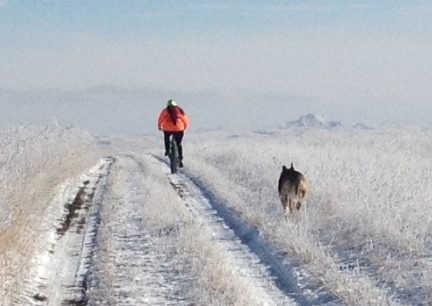 These are photos of Deron with our German Shepherd Dog, Texas Tea, playing in SD. 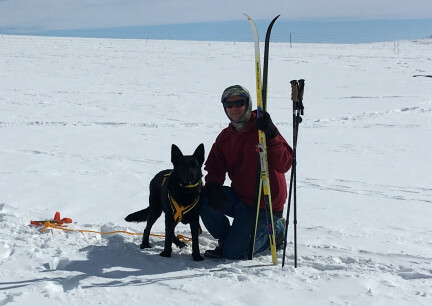 It is called Skijoring when an animal pulls a person on Cross Country Skis. Deron and I were bred and born in MO, yes, we know, and are glad about, not as much snow in MO! If you look to the right of this page, to Sister Sites, you will see we have several Dog Websites. 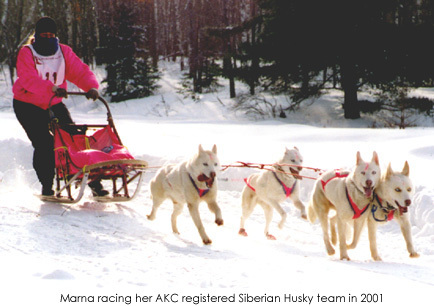 Have a Look, we are very proud of the Dogs and Dog Sports we have and have had in the past. Right now, however, we only have German Shepherd Dogs. 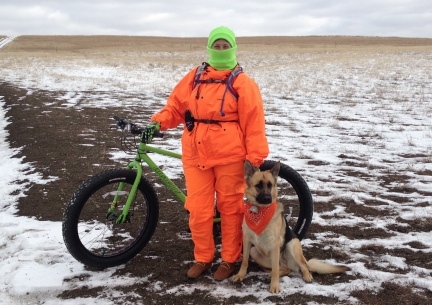 I have used a bicycle to train dogs for yeeeeeears! (so much more to say about this) But skipping to the Snow Part.... 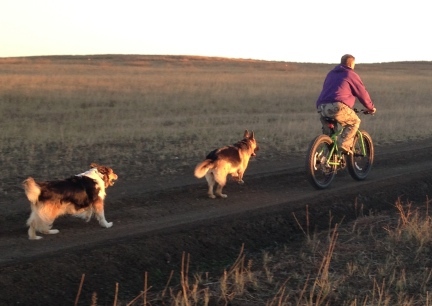 These are photos of Deron and or me out with our dogs, mostly German Shepherd Dogs. 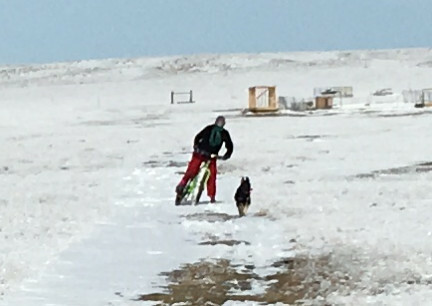 (also see our website at www.workinggermanshepherddogs.com for information on training a 'Bicycle Buddy' dog for any trails). 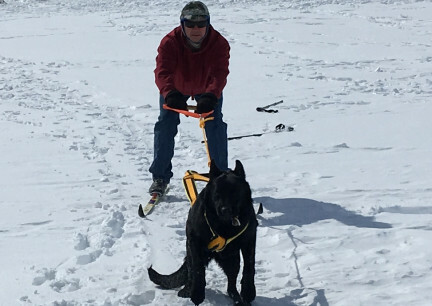 The contents of this page for Dog Sleds, Scooters and More! is still under construction. Please check back.